We are back with a new SNOEflakes edition, and trust us when we say you don’t want to miss out on this one! As usual the format brings a top-notch selection of artists to the table, and this time it is a solid mix of already known faces and new additions to the label. First off is Lubelski with “Just Business”. This guy has been making waves all over the US lately with his catchy, groove driven sound, and it was just a matter of time before we needed to bring him into the family. “Just Business” is a copious tune filled to the brim with acid inspired synths, the hypnotic vocal elements and playful percussions ready to take over the dance floor. The second track of the V.A. is from labelboss herself Beth Lydi. “Spilled Beans” takes you on yet another trip down the exquisite synth lane. Through the synths twisting and turning around the bouncy bassline you can feel the track building up to a fierce break. Ucha is back on SNOE with his wide striking “Carpediem”. As you know from Ucha, the track is packed with heaps of energy radiating through the insatiable groove, creating a powerful frame for the dirty synth pumping it’s way throughout the track. Berlin and US based KC Wray is the second fresh face in the SNOE family, and his track “Wiggidy Whack” is a proper tech house banger ready to set the dance floors on fire with its tight drums, solid bassline and funky vocal elements. This is it! 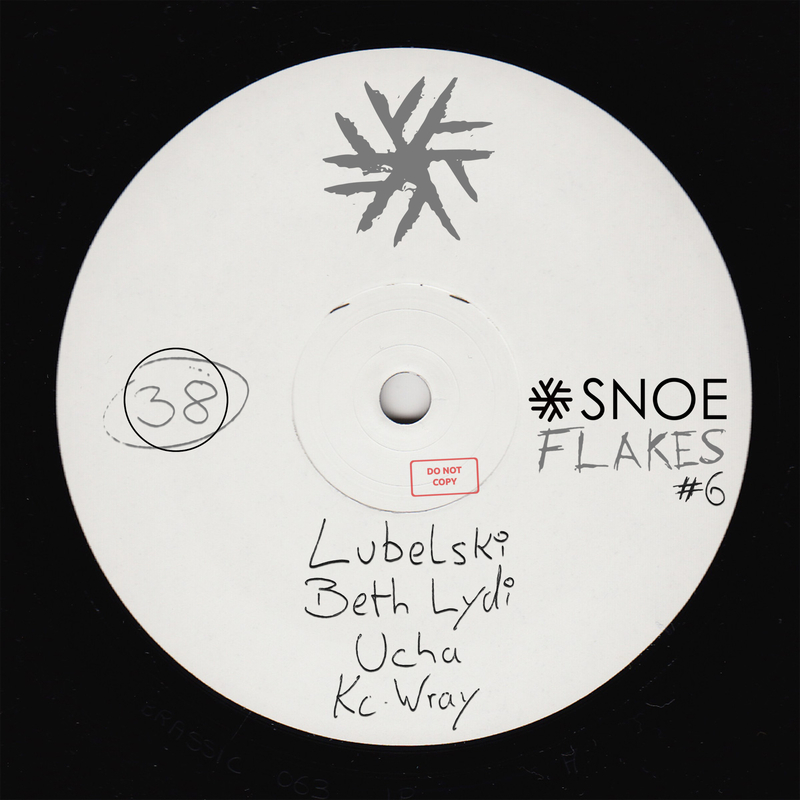 Check out out SNOEflakes #6!